Fr. Peter Balleis, SJ, a leading advocate of refugee and forcibly displaced persons’ rights, has been fighting for human rights and social justice with Jesuit Refugee Services for more than 20 years. As executive president of Jesuit Worldwide Learning, Fr. Peter works toward a more peaceful world using the power of education. Since 2010, more than 5,000 young people from 25 countries have participated in the Jesuit Worldwide Learning model of digital learning, which makes tertiary education accessible to refugees, providing them with skills and developing their leadership potential. 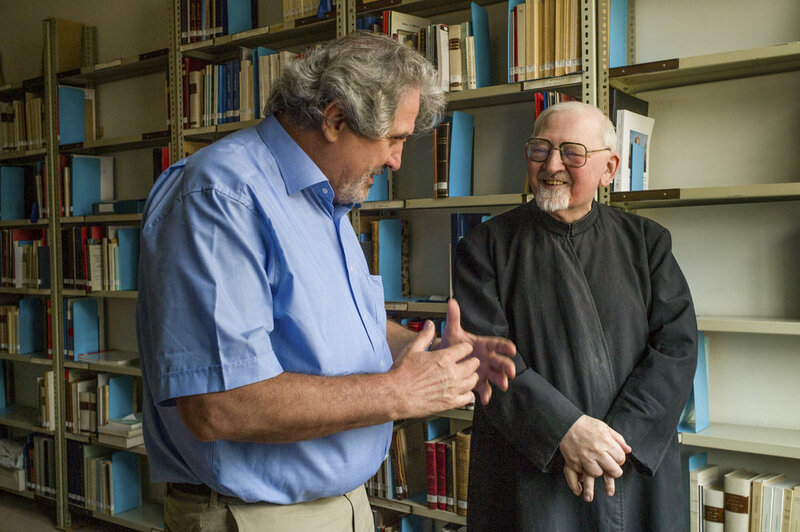 Jesuit Worldwide Learning plans to expand tertiary learning to marginalized individuals and communities impacted by poverty, conflict or forced displacement. As a compassionate and fearless leader, Fr. Peter was chosen to head this effort. He believes the voices of these communities will be an important contribution to the global community as we address increasing numbers of people displaced by conflict.